2nd album from '07 the long awaited return of this mythic italian Death/ Thrash band,18 years after their debut! Aggressive and brutal as always with an awesome production! Unofficial live album that includes a full show with 13 songs recorded live in 1990 with very good sound. 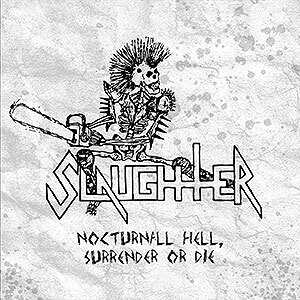 Official re-issue that includes the 7"EP "Nocturnal Hell" ('85) & the demo "Surrender or Die" ('85) by this legendary canadian Thrash/ Death band.